Once RAF officers have completed their Phase 1 initial military training at RAF College Cranwell and their Phase 2 specialist training courses they will move on to their next batch of training and education, which is termed command and staff training (CST). All residential Phase 3 generic PMD(A) courses for officers up to Squadron Leader rank are delivered by the RAF Division of JSCSC. The Junior Officer Development Programme (JODP) is part of the Professional Military Development (Air) (PMD(A)) generic Phase 3 training for junior officers in the RAF, focusing on air power and leadership. It is a 6-year programme designed as a through-life educational process, comprising three courses of 30-40hrs interactive distance learning followed by a short residential period, attended at 2-yearly intervals. RAF officers commence the programme two years after completing initial officer training (IOT) at RAF College Cranwell. The JODP is described fully in AP7000: PMD Air, AP7000, Issue 1, v3.0 (RAF, 2012). The three courses are designed to be completed in sequence with the necessary period of consolidation and application in between. All officers must complete the three courses (as described below) and completion of JODP is a prerequisite for promotion to substantive Squadron Leader rank. As there is online distance learning before each JOD module, it is recommended to allow 6 months between applying for and attending a residential course. Taken as a whole, JODP delivers an in depth understanding of the utility of air power, together with the theoretical and practical aspects of leadership and management in the RAF. A good understanding of RAF culture and ethos will also be developed through completion of the programme. The purpose of the Junior Officer Development One (JOD 1) module, launched late-2008, is to develop Officers who can explain the employment of air power, at the tactical level, within the wider political context; and deal with everyday leadership and management activities. The JOD 1 module is 30-40hrs distance learning, with 1-week residential and is completed within 2-years of graduation from IOT. JOD 1 follows the key themes of Context, Air Power, and Command, Leadership and Management (CLM), focussing on preparing junior officers for operational deployment and working in the joint environment. The purpose of the Junior Officer Development Two (JOD 2) module, launched mid-2009, is to develop Officers who can analyse the employment of air power, at the tactical level, within the wider political context; and deal with everyday leadership and management activities. The JOD 2 module is 30-40hrs distance learning, with 2-weeks residential and is completed within 4 years of graduation from IOT. JOD 2 follows the same key themes as JOD 1 but focuses on more in-depth analysis through study of leaders, air power case histories and syndicate room discussions. The purpose of the Junior Officer Development Three (JOD 3) module, launched late-2010, is to develop Officers who can prescribe the effective application of air power at the tactical level; analyse their role in the development of policy; and management processes and the team. The JOD 3 module is 30-40hrs distance learning, with 1-week residential and is completed within 6-years of graduation from IOT. JOD 3 develops the same key themes further, focussing on enabling students to progress to the Flight Commander role. Students will also consider the development of subordinates and staff work and management processes, such as finance and risk. There are no formal assessments on the JODP, however, the essay completed at the end of the programme (following JOD 3) is marked by King’s College London, and the development report is for the student’s eyes only. Successful completion of all three JODs attracts Chartered Management Institute accreditation at Level 6 on payment of the required fee. The Senior Officer Study Programme. Advocate the importance of RAF history and ethos. All students on the course are expected to complete all assignments and will receive a course report. Officers who complete the ICSC(A) are awarded credits by the Open University, King’s College London and the Chartered Management Institute. Successful completion of the whole course also attracts membership of the Chartered Management Institute on payment of the required fee. According to research endorsed by the Chartered Management Institute, if you were to pay for training to deliver equivalent employee development, relevant to the civilian workplace, it would cost you in the order of £11,125 (SaBRE, 2013). The second element of the SODP is the Senior Officer Study Programme (SOSP) which will be primarily for those Wing Commanders and senior Squadron Leaders who have not been selected for Advanced Staff Training (e.g. the Advanced Command & Staff Course). The continuum of generic PMD(A) will provide the opportunity for individuals to gain full, or partial awards in academic or vocational qualifications, especially when evidence of learning can be drawn from an e-portfolio. The Future Commanders Study Period (FCSP) is a four and a half day residential course conducted by the RAF Division of the JSCSC. The aim of the FCSP is to enhance the effectiveness in command of senior officers about to be posted to station or unit commander appointments. Station Commander Brief by current or recent Station Commander. Selection for Advanced Staff Training (AST) is coordinated by RAF Manning and is linked to entry into the Executive Stream (refer to AP 33392 Volume 1) for those officers whom are identified for their high potential to progress through the ranks, and who after successfully completing AST, are subsequently placed in the demanding and Joint appointments that are likely to prepare them most effectively for potential employment at the Strategic Level, where employment is less role-specific and more related to the competencies the officer has developed. Officers in the Specialist Branches are not subject to Executive Stream selection and their attendance at AST is therefore based on the requirements of their respective branches. Successful completion of ICSC(A) is a pre-requisite for attendance on AST. AST includes the Advanced Command and Staff Course and overseas staff college attendance. 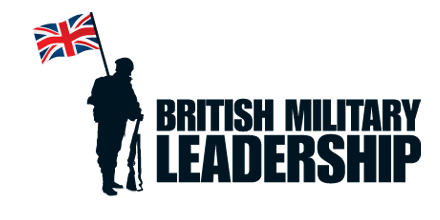 For information on the Advanced Command and Staff Course (ACSC) and the Advanced Command and Staff Course (Reserves) (ACSC(R)) please use the following link: British Army Officer Career Development Programmes. For information on the Royal College of Defence Studies (RCDS) Course please use the following link: British Army Officer Career Development Programmes. For information on the Applied Technology Course for Senior Officers (ATCSO) please use the following link: British Army Officer Career Development Programmes. For information on the Higher Command and Staff Course (HCSC) please use the following link: British Army Officer Career Development Programmes.